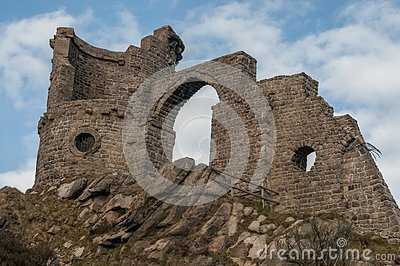 Mow Cop Castle is a folly of a ruined castle, built in 1754. Primitive Methodism is said by some sources to have originated on Mow Cop. Hugh Bourne, a carpenter and William Clowes, two Methodists, organised open-air meetings during which there were strong displays of religious zeal.